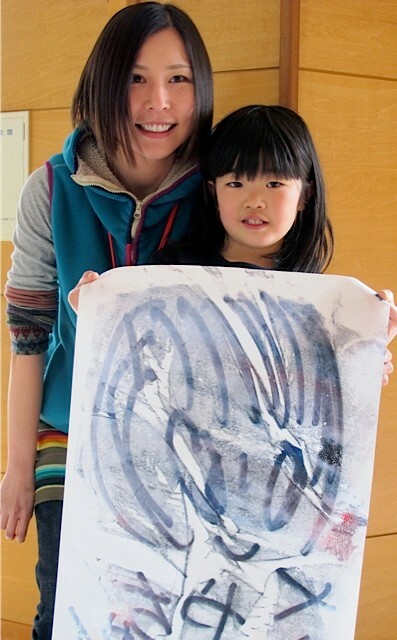 Since an early stage of the aftermath of the Great East Japan Earthquake, Japan Creative Arts Therapy Center (J-CAT-C) has explored ways to provide and has been providing support using art therapy for the disaster stricken areas through one of our councilors, who is the director of a children’s center in Sendai. 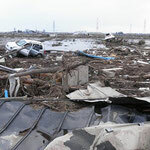 J-CAT-C has sent its people, with Norio Seki, Representative Director as a core participants, from the headquarter in Tokyo to visit the stricken areas at four separate occasions so far. The following is summaries of the visits. 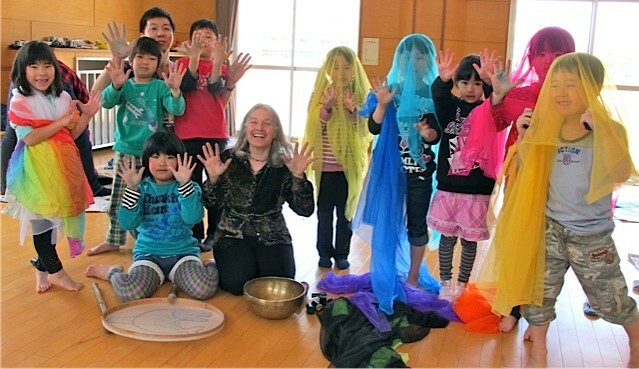 Upon request by Deborah Koff-Chapin, an Expressive Arts Therapist and the founder of "Touch Drawing" to facilitate supportive activities at the stricken areas, we delegated Tomoaki, J-CAT-C councilor living in Sendai, as a pipeline to help Deborah facilitate workshops in Miyagi prefecture. Deborah arrived Sendai by the Shinkansen (or the bullet train) in the evening of April 4th. 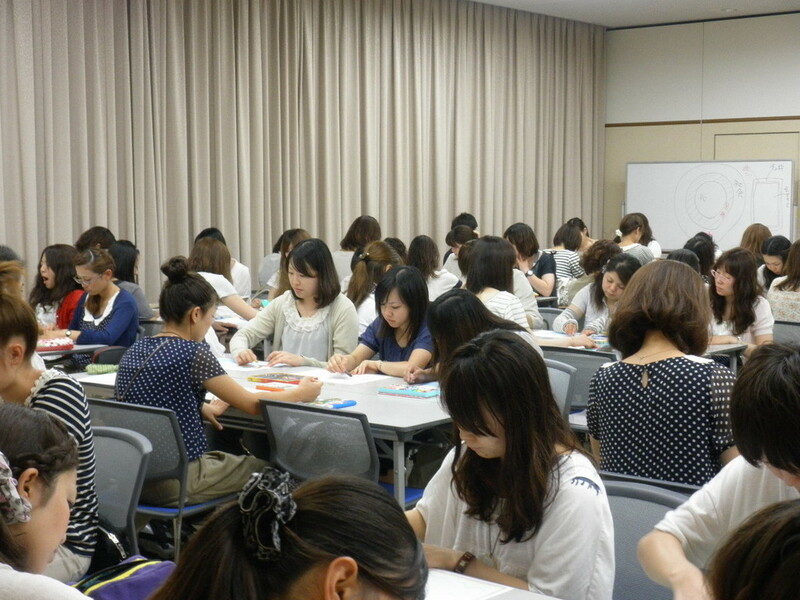 Before the start of the workshop, there was nervousness in the air. But with everyone sitting in a circle and listening to Deborah's musical and vocal introduction, the atmosphere of the room as well as the mood of the participants seemed to begin to relax. 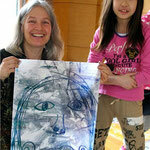 Then following Deborah's Touch Drawing demonstration, each participant sat down and started creating work on their own. In echoing sounds of Deborah's drum and singing bowl, they were so absorbed in the creative process that the time went by in a flash. Because three hours was rather short for a Touch Drawing workshop and also the participants were absorbed in the creative process, the workshop went over time, which resulted in a lack of time for sharing at the end. Despite this, overall responses from the participants were in favor of the workshop, and there were comments calling for "another workshop with more time for a session." 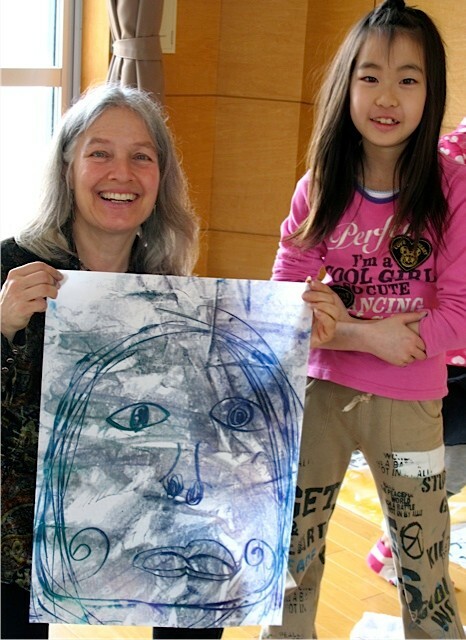 After the workshop, each of the participants drew a card from a set of Soul Cards, which are a printed version of Deborah's Touch Drawing work, and took a time to listen to messages from the card. We bet they had a meaningful time. Everyone helped to clean up the room, and about a dozen of the participants came along to have a potluck dinner and concert in another place, where Deborah and E who is a crystal bowl player performed in a session. 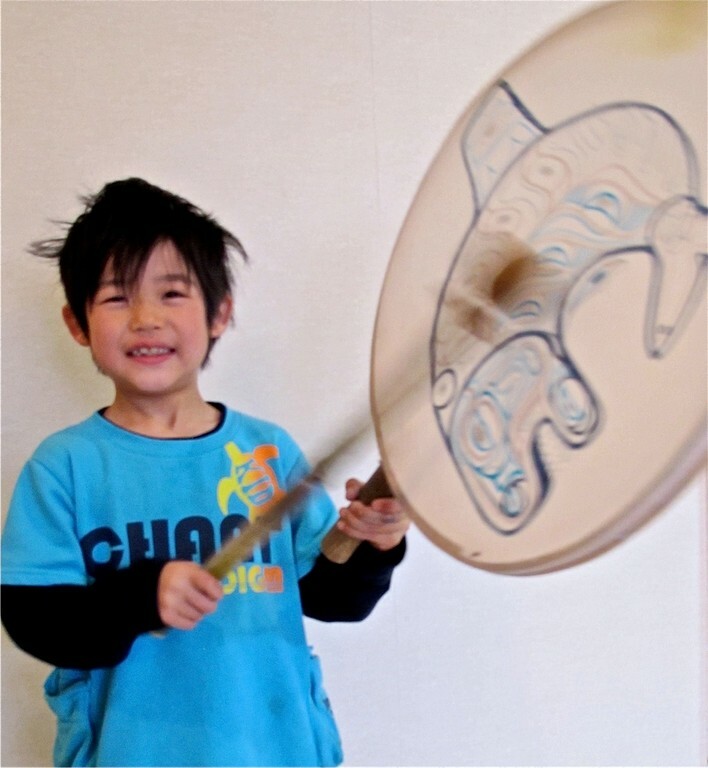 The participants had a great fun sharing a time and space in echoing sounds of a singing bowl, drum, and crystal bowl, finishing up the evening and activities that began at 1:30 pm. 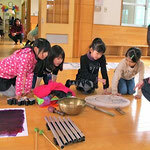 We had a workshop for elementary school students at Tsurumaki Children's Hall in Sendai city in the morning. 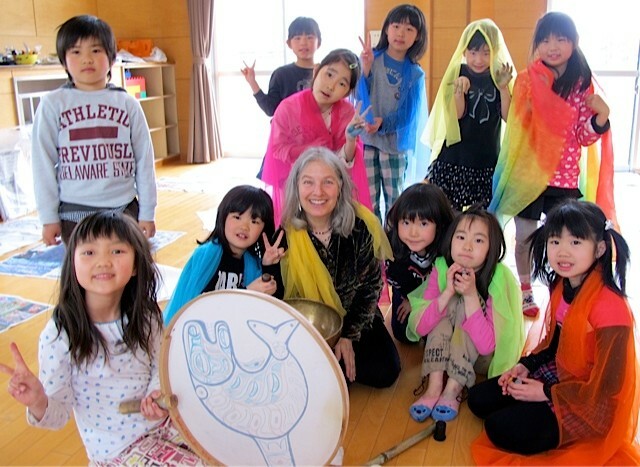 The children's hall was the place where Norio and others facilitated a workshop last April (See the report on The Forth Visit). Fewer blue tarps covering the roofs and road repairs were seen this time than last, and one could feel relative peacefulness in the area. 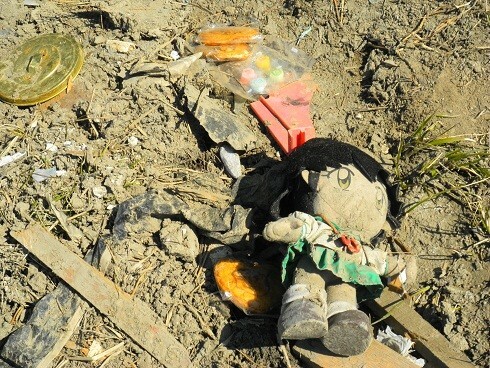 On the other hand, the surroundings under which local children were placed hardly showed signs of improvement due to continuing aftershocks, tough economic situation, and unstable home environment. The children had barely begun adjusting and getting back to normal. Two volunteers, A and T, played a supporting role for Deborah's workshops all day long. 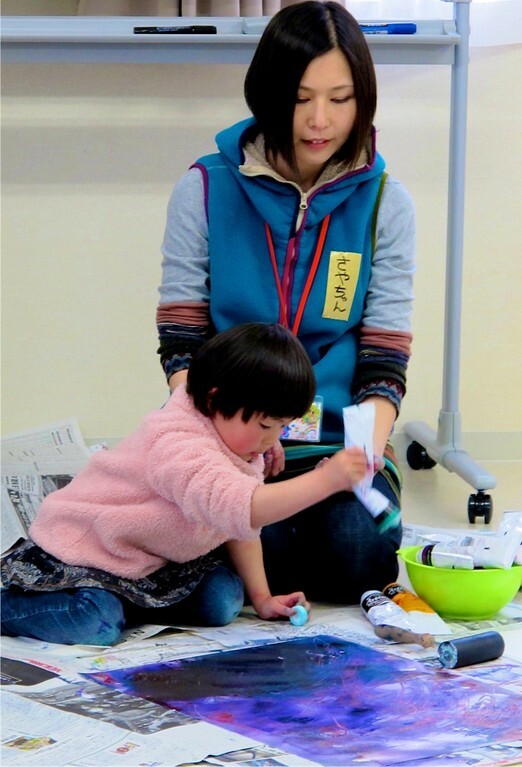 They have been doing their own supporting activities in Kesennuma city as NGO members, but in their little spare time from busy schedule they came to help Deborah. 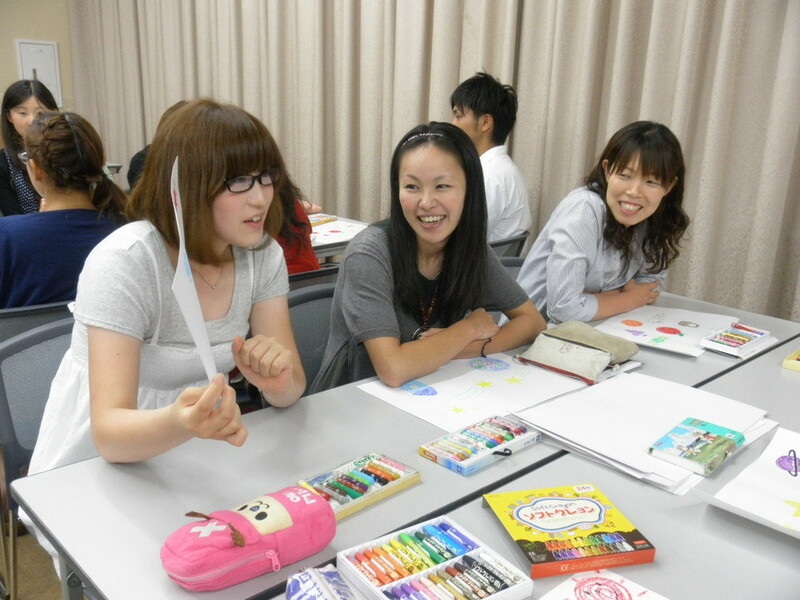 They heard of today's Deborah's workshops in Miyagi prefecture though their Japanese art therapist friend who works in the U.S. When we stepped in to the children's hall, children were waiting for us strange staff and Deborah with great interest. 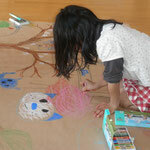 While we were setting up for the workshop, the children were observing us from outside of the door without blinking. Perhaps because of this strong curiosity, while originally 15 children had signed up for the workshop, many more signed up at the door, ending up with 22 participants and two sessions of workshop. 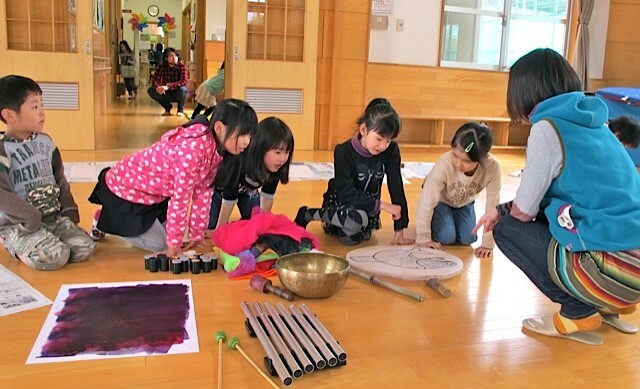 With vocal and musical introduction beginning, the children were looking at one another bashfully at first but gradually began to open their mouth and singing, and soon they started participating with the presence of their mind. Once they started in the creative process, they were absorbed in their work and drew pictures in a rapid succession with great enthusiasm. What was very impressive was that a particular child who had been scrapping with other children and dragging on the upset feeling until right up to the workshop calmed down and was absorbed in the process as soon as he began working. Later the boy was seen talking with the staff about his work jubilantly. There were also two children who were in the same room but neither participated in the creative process nor joined the group. 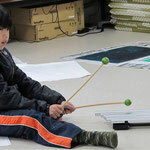 As the time went by, however, their behavior changed from observing the workshop at a distance to gradually coming closer, touching Deborah's musical instruments and colorful scarf, and watching the participating children's work. The director of the children's hall and staff said, "We had you facilitate a workshop here last year too, but we realized that these kids still need this kind of workshop. They were absorbed in the process more than expected, and we were also surprised by the number of the participants, which was more than originally signed up." Each of the children were given a personal space and drawing materials and seemed to be focused and enjoying the time in the secure, protective environment. The workshop ended with a musical and vocal closing. Despite of their embarrassed grin, the children seemed to be more willingly vocalizing, relaxed, and refreshed than there were at the beginning. 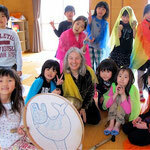 Finishing two sessions of the workshop without mishaps, we thanked the children and the staff of the children's hall, tidied things up in a hurry, and left for Ishinomaki where we were scheduled to have another workshop in the afternoon. 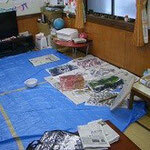 With NGO JEN’s Mr. Iwai who would be cooperating for tomorrow's morning workshop joining, we visited NPO "Niji-iro Crayon" that would be cooperating for this afternoon's workshop, in their office a little past 3:00 pm. 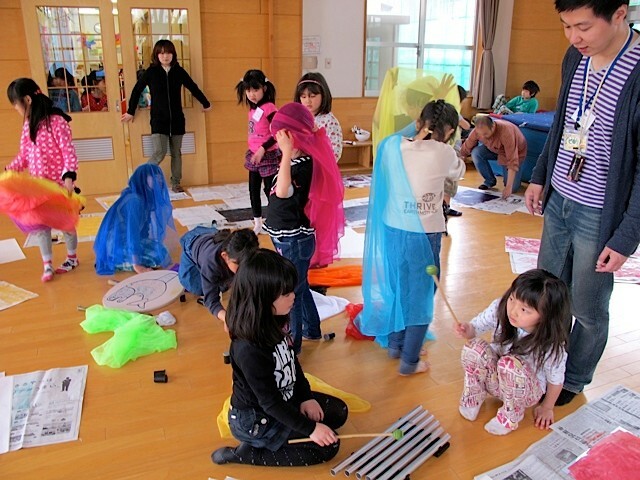 The latter organization began their supporting activities for children after the earthquake at shelters under the name of "Ishinomaki Kodomo Hinannjyo Club” ( Ishinomaki Children's Shelter Club). 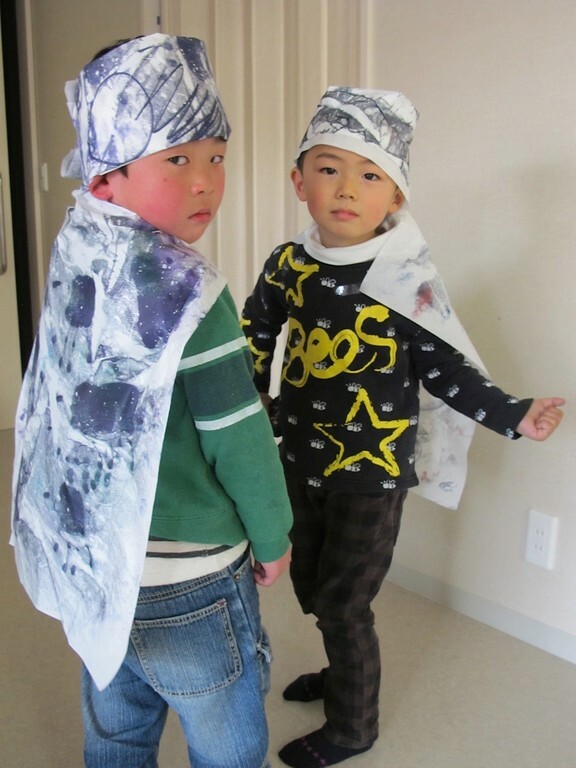 They have renamed themselves as "Niji-iro Crayon" and have been continuing their activities mainly at assembly halls of temporary houses in Ishinomaki city since the end of last year. 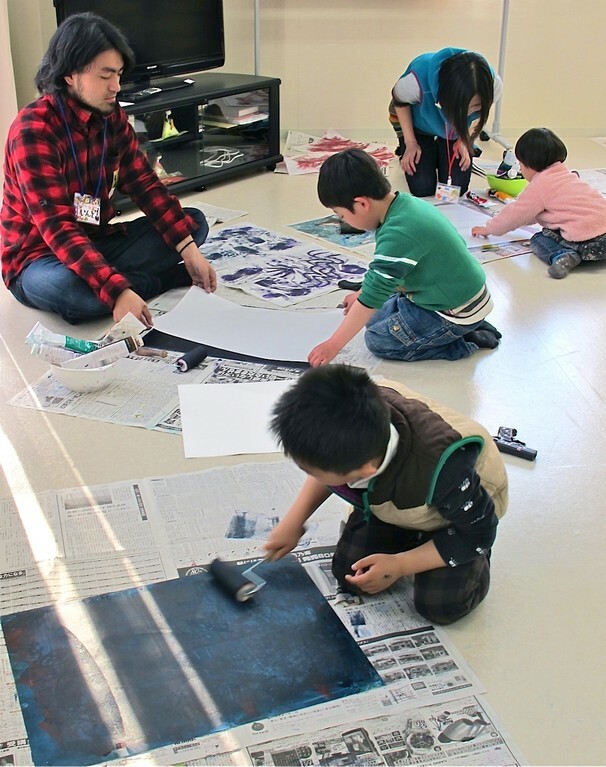 Representative Director Mr. Shibata is an artist and was running an art class for children prior to the earthquake (He just reopened the art class in this April). After a meeting, we went to 3-chome Assembly Hall where the afternoon workshop would take place. 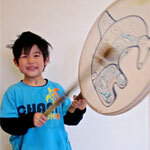 Nine children aged between four and 13 participated in the workshop. Contrary to the morning workshop, after they completed some pieces of Touch Drawing work, some of the children in this workshop became interested in Deborah's drum, singing bowl, and scarf, and began moving around while making sound and wrapping the scarf around the body, developing the session into more of physical activities. 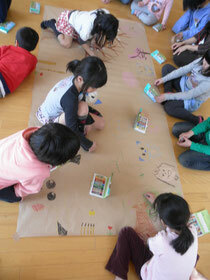 While some elementary school children moving around in the room, preschoolers were absorbed in Touch Drawing in a corner of the room. 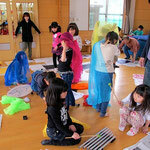 Seen as such, each child seemed to create their own space and spent a meaningful time. 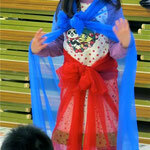 The workshop ended on high with everyone having a different role and performing in an impromptu fashion show. 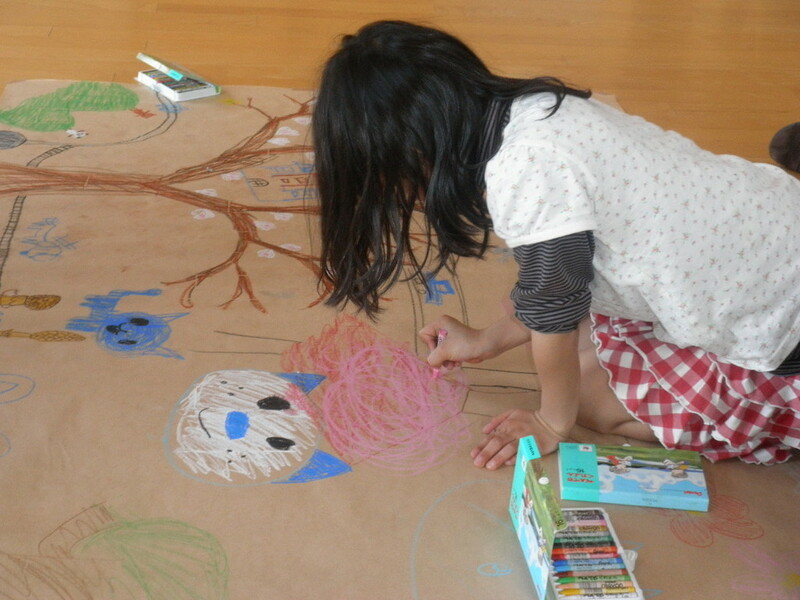 In the meeting prior to the workshop, Niji-iro Crayon's staff warned us saying, "Children had been notified that it was totally up to them whether they participate in Touch Drawing or not, so some of them might leave in the middle of the workshop." However, as it turned out none of the children walked out but rather they used a full body despite of a tight room. Further more, they seemed to extremely enjoy engaging in creative plays. Deborah was surprised by the difference between the behaviors of the children in the morning and that of the children in the afternoon as well as pleased with the creative experience and time that she had never experienced before. Before we were headed to Ishinomaki today, we picked up S, an interpreter volunteer from Tokyo, at Sendai Station. 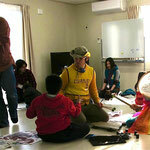 Then we went to Watanoha ward, Ishinomaki city where International NGO JEN is based. 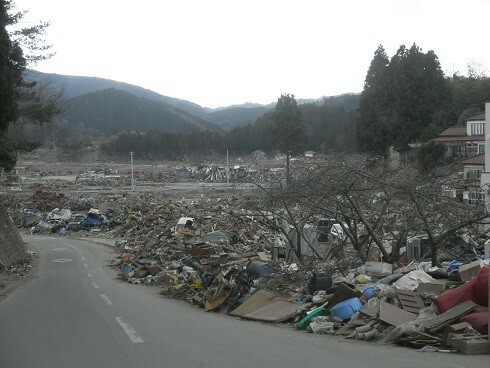 On our way along the coast, we reminded ourselves that we still had a long way ahead to recovery by seeing time after time disposal facilities with heaps of rubble and empty lands swept away by the tsunami. 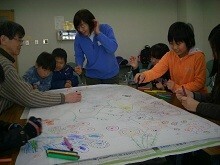 We arrived the site, and 10 elementary school students participated in the workshop. 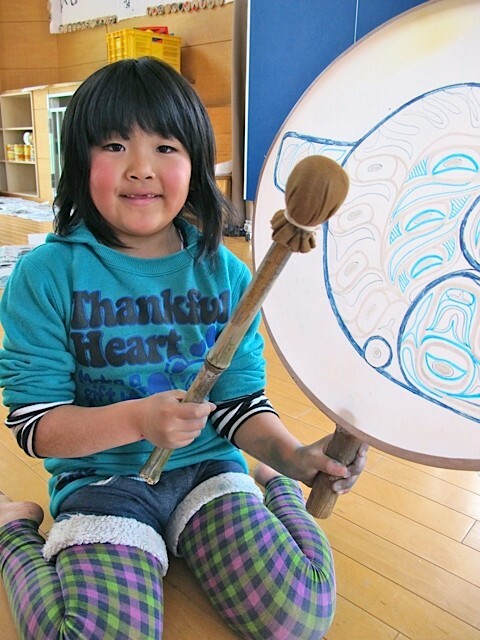 At first the children were anxious about what they would be supposed to do, but they gradually became relaxed while working on Touch Drawing with the magical sound of drum in the background. 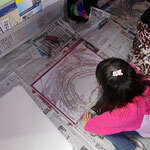 They interacted through art by showing their work to each other proudly. We had not only JEN's staff but also JEN's volunteers experience Touch Drawing, and they seemed to be intrigued by the experience. 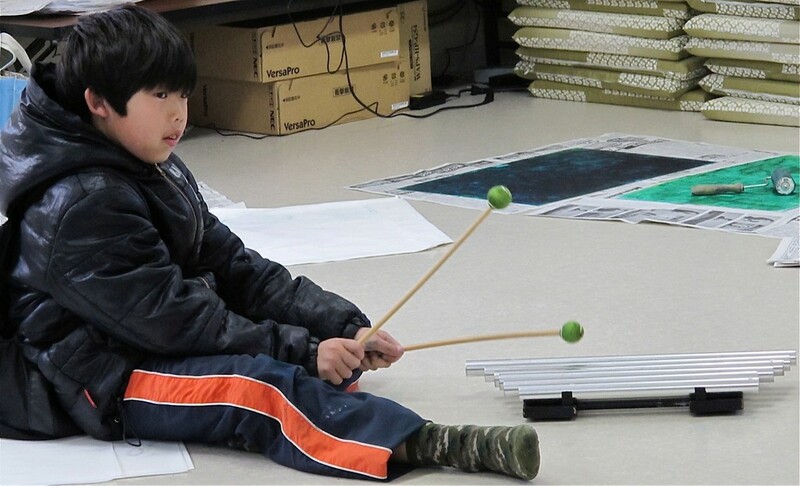 The children here too were extremely interested in Deborah's musical instruments and enjoyed walking around while ringing the instruments and making music even after they completed Touch Drawing work. 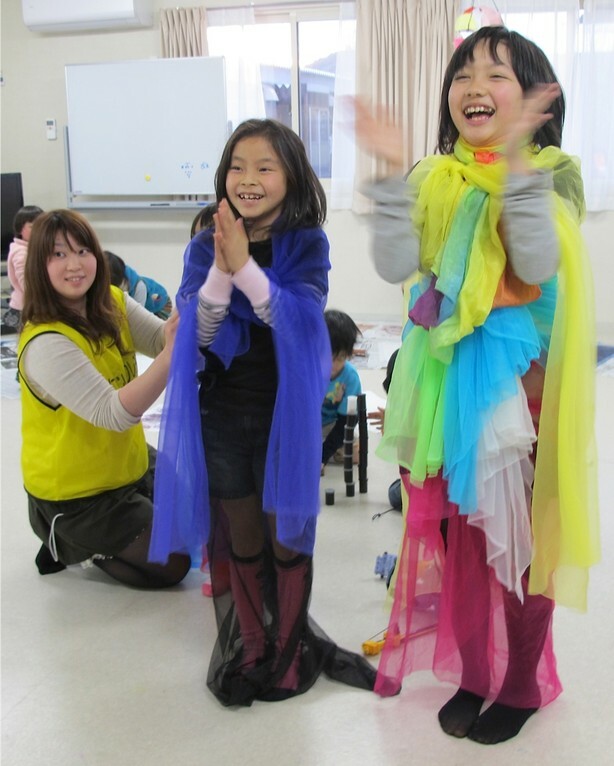 In the afternoon, with cooperation from "Hisaichi Shougaisha Support Center – Ishinomaki Branch” that is based in Ishinomaki city, we facilitated a workshop for seven children and young adults aged between 13 and 19 as well as six of their parents. Thanks to the supporting center's staff including Ms. Mita and Mr. Abe also participating on the spot, the workshop was such a great success that the tiny office of the supporting center was filled to the capacity. 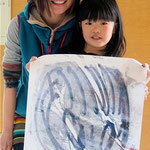 The children, with help from the adults, enjoyed Touch Drawing at their own pace, and it was a time filled with laughter. 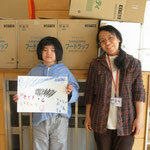 The parents expressed their wish to get some sets of drawing materials and have more workshops in the future. 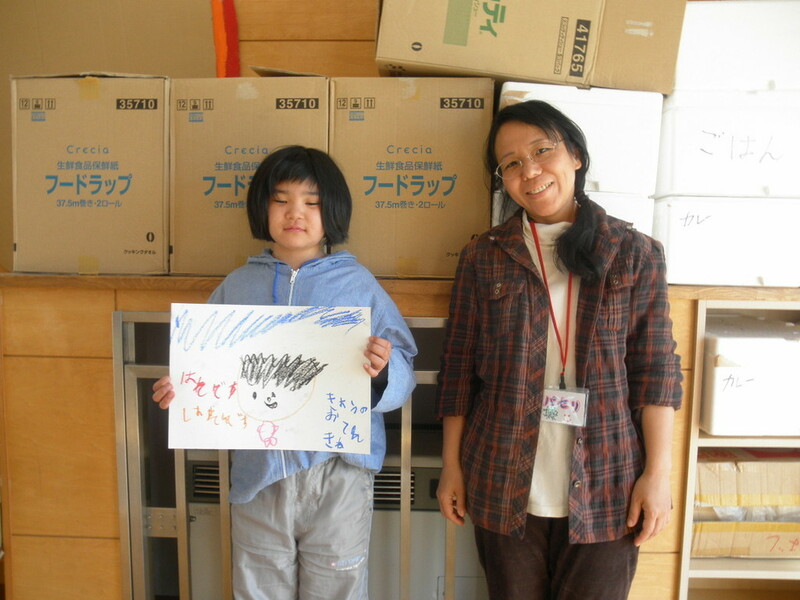 A few days later we received a thank you card and impressions from the supporting center's staff and the parents. 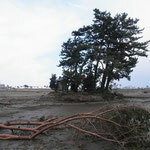 Regarding this disaster, insufficient support (e.g. 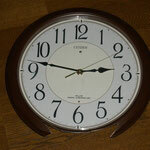 problems stemming on and around shelters and temporary houses, habilitative supports, etc.) 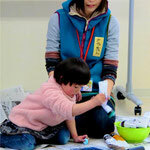 for children and adults with disabilities were reported in the media. The tough situation, according to the supportive center's staff, has not been improved and still remains much as it was a year ago. 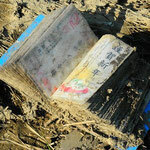 We also learned that there were many people in the similar situation not only in Miyagi prefecture but also in the other three northeastern prefectures. 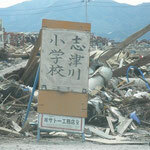 We left Ishinomaki with a promise to return and continuing support. Upon asking for hosting the workshop, it became clear that having the potential hosts understand what activities "Touch Drawing" and "Art Therapy" were like was a big hurdle. It seemed related to the state of the hosting side being "surfeited with supporting activities" with a year past since the earthquake and the people's vague anxiety about the word "therapy". (For this reason, there are organizations doing therapeutic activities without using such a word as therapy.) 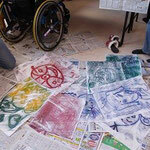 Nevertheless, when we facilitated workshops, we realized that Deborah's Touch Drawing workshops were a great success without exception, that the participants enjoyed the workshops despite a short time, and that the staff of the cooperating organizations experienced the effectiveness and potential of art therapy. 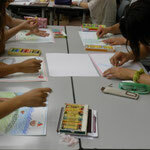 Deborah herself uploaded a summary on Twitter and Facebook after the workshops in Miyagi prefecture, and she told us that she felt great needs of art therapy based on many responses on the social networking sites. 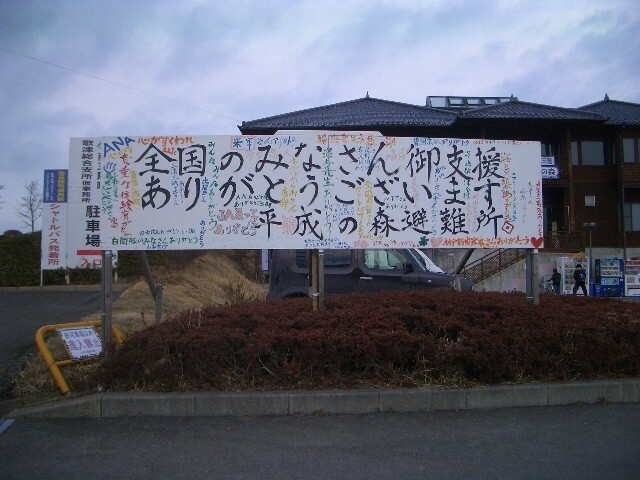 Driving from Sendai on Sunday, the 12th, Norio, Tomoaki, and E who handed out flyers together at the previous visit visited Minami-sanriku-cho. Getting off Minami-sanriku Expressway as Minami-sanriku-cho approached, we noticed that the temperature dropped and weather worsened. It started snowing, and the streets and everything else soon started being covered lightly with snow. The snow would be likely to pile up, and such a snowscape was rare in this coastal area. 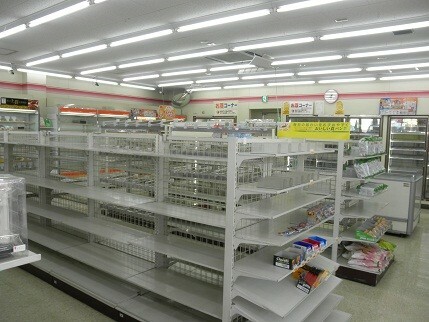 We stopped at a convenience store just off the center of Shizugawa ward and found out that they carried rare items including foodstuffs that are hard to make at home. 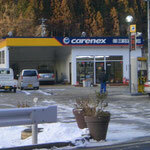 We saw three more convenience stores along the street, either built anew or temporarily in a container. Even a few months earlier, we were moved by seeing a pole for electric power lines standing, but now there were intersections with traffic lights, which indicated the progress of restoration works. This workshop was held upon request from E's acquaintance A who had a child of elementary school age living in a temporary house. The primary target of the workshop this time was elementary school students, but nobody really had an idea how many would show up until the workshop started. We started setting up the room at 12:30 pm. It was not until almost 1:30 pm when parents and children started showing up. The first ones were A and her son who requested this workshop. Once A's son stepped into the room, he started doodling on a white board. Afterwards came in brothers T and R, a senior and junior nursery school pupils respectively. 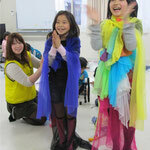 The three adults and three children warmed up with playing tag at first, and then the workshop leniently started off. About 15 minutes into the workshop, three girls (two sixth-graders and a third-grader) joined. 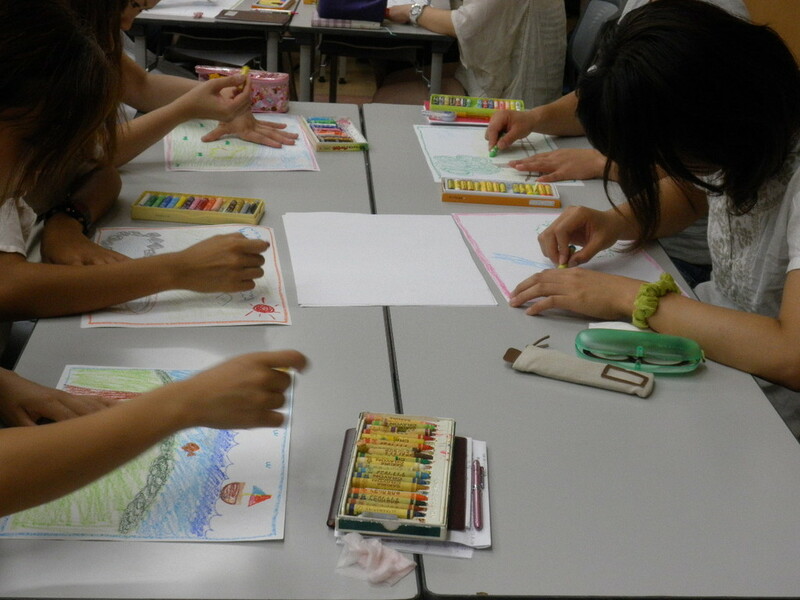 In the beginning, we had the participants make a group drawing with crayons of their favorite colors on a sheet of craft paper. The three girls were at first nervous finding out what this was all about but gradually began relaxed, laughing, and enjoying the directive as well as mischiefs of the boys. 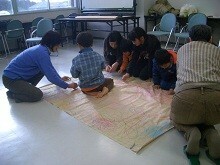 The next directive was a group drawing on a huge sheet of Japanese paper. 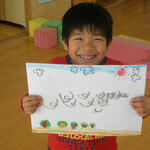 At first Norio said, "Here is a magic," and drew a flower with a washable maker. 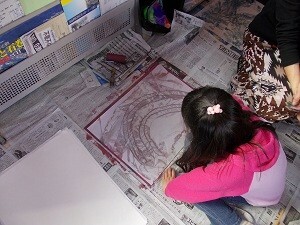 Then he traced the drawing with a brush put in water. 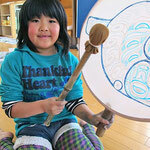 Looking at Norio's demonstration, some children said, "I know this!" 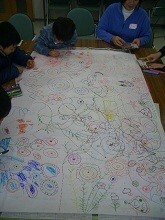 and everyone started drawing a flower and pot with washable markers and enjoyed shading off the colors with a wet brush. 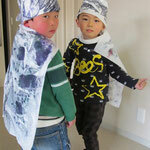 The boys gradually became excited about water and devoted themselves in spreading water all over the sheet. The girls completed the directive in about 70 minutes, just the right time for them to participate in "the Valentine's Day Project" at another place. The children seemed to be longing for enjoying physical activities to the fullest. But in reality, they were put in circumstances where play areas were too small and around the temporary houses that they were afraid to cause trouble for someone, resulting in holding himself or herself back. In this regard, we were convinced that activities like art therapy, which can be done in a small space, were extremely effective means to help the children. 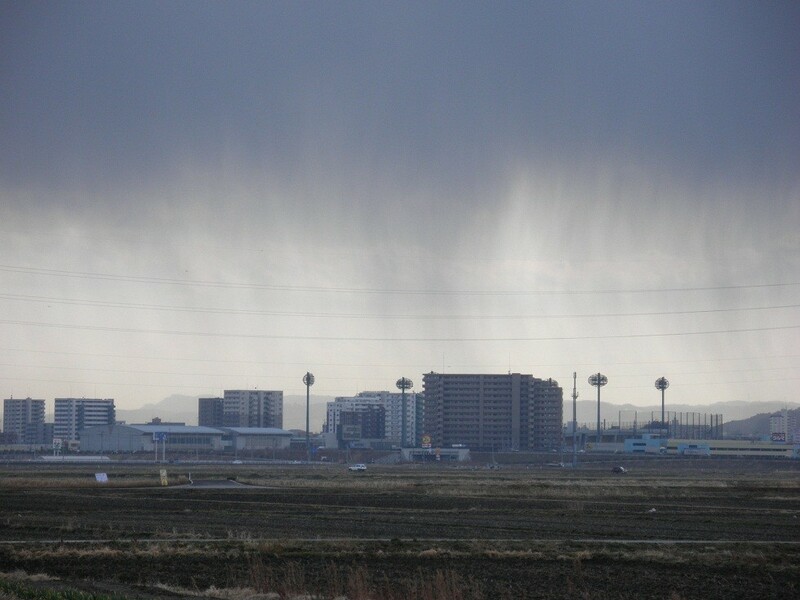 After the workshop was complete, we returned to Sendai. 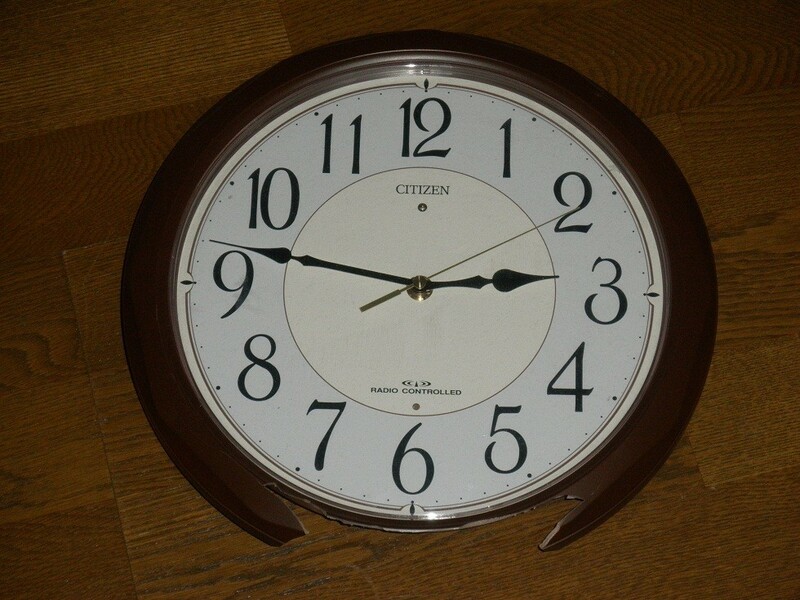 This time, upon J-CAT-C's receiving a request for a workshop (scheduled on February 12th) from T who lived in a temporary house in Minami-sanriku-cho, E who mediated T's request to J-CAT-C, and Tomoaki were delegated to the town. The main purpose was to announce the workshop, build partnership with local organizations, and understand the current situation of the area. 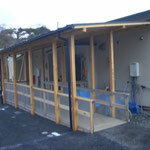 The first place to visit was Maternal and Child Health Office of Health and Welfare Section in Minami-sanriku-cho town Hall located in a temporary building near Bayside Arena. 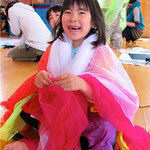 The next stop was "Minna-no Jidokan" (Children's Hall of Everyone) by Shizugawa Elementary School. Despite a visit without an appointment, we received a warm welcome from the staff workers and were able to meet Ms. Oikawa, who was a government employee of the town. Afterwards, we visited "Heisei no Mori" (or “The Woods of Heisei”), one of the shelters for the evacuees in the area, which was scheduled to be our workshop site. After looking over the room for the workshop, we visited after-school care operating in a room in the shelter and handed out workshop flyers. 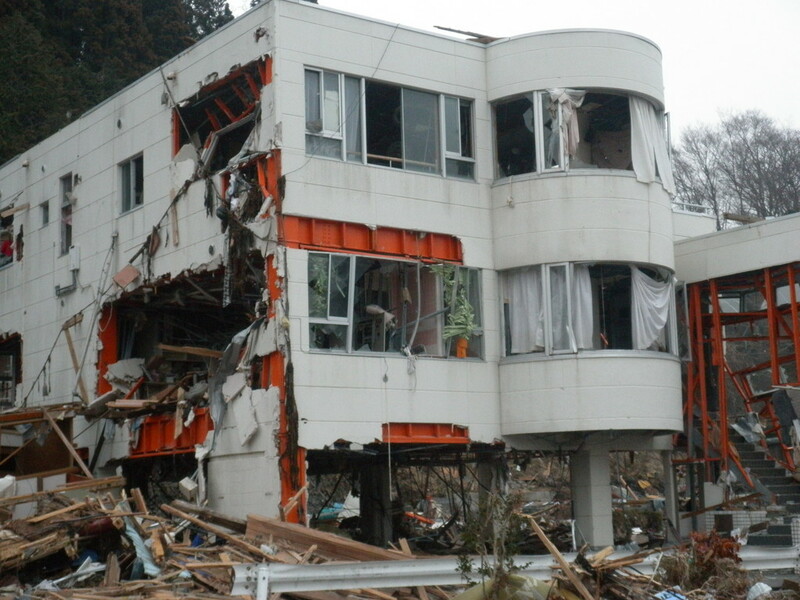 We also handed out the flyers at temporary houses near "Heisei no Mori", temporary houses on the campus of Isato Elementary School, temporary houses near Natari Elementary School, and Hotel Kanyo before returning to Sendai. Disposal of rubbles in the town seemed to have progressed and there were some repaired buildings, but there still seemed a long way to recovery. 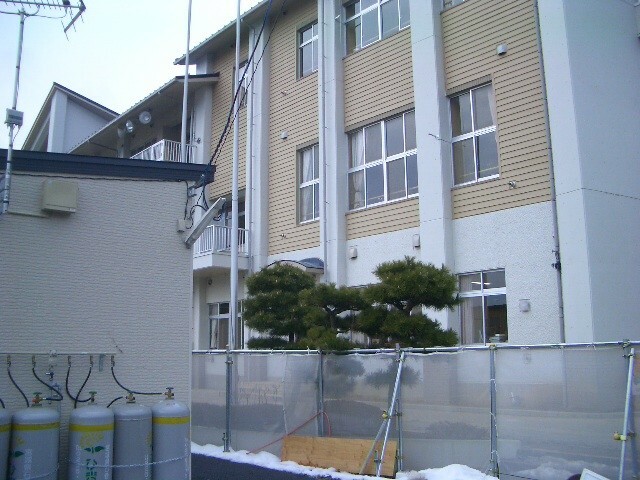 In the morning, we visited the first temporary Watanoha multi-unit apartments in Watanoha ward in Ishinomaki city, Miyagi prefecture. We met Mitsunori Kadoma, representative director of “Genki Miyagi” ( Cheer Up Miyagi), an NPO that has been doing supporting activities in the area as well as Ono ward in Higashi Matsushima city. 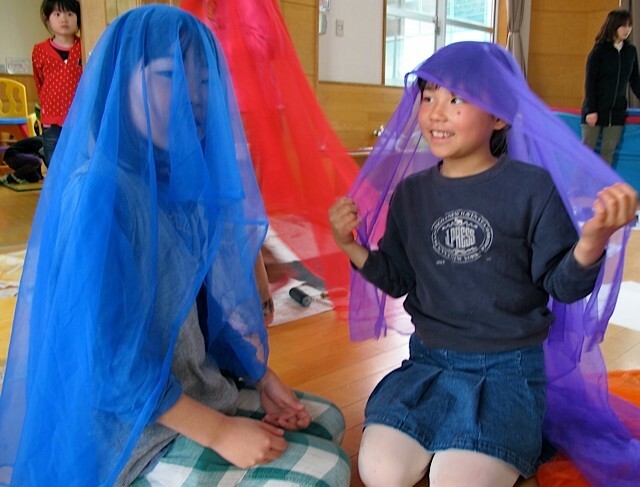 At the time, a patchwork class happened to be going on in the assembly hall, and while observing the class, we had him explain the current situation about the mental care. 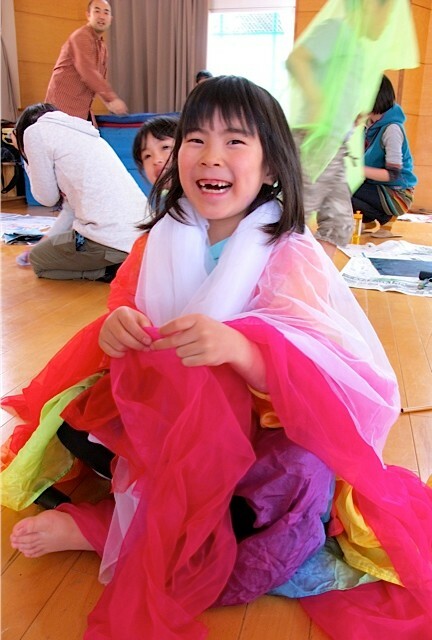 The people participating in the patchwork class looked relatively cheerful, but according to Mr. Kadoma, the uplifting mood has just recently started being observed. 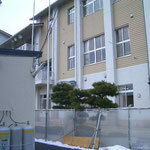 After the visit, we happened to talk with a teacher of Miyagi Suisan High School by the temporary apartments. 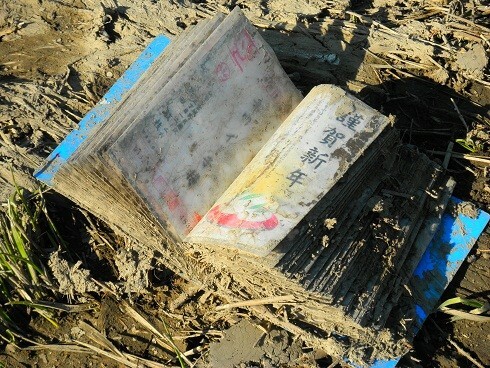 According to the teacher, the ground around the inner bay, which is only a couple of hundred meters away form the temporary apartments, has sunk quite a bit because of the earthquake, and the water level raised exceedingly on the days of heavy rain and typhoon ever since. 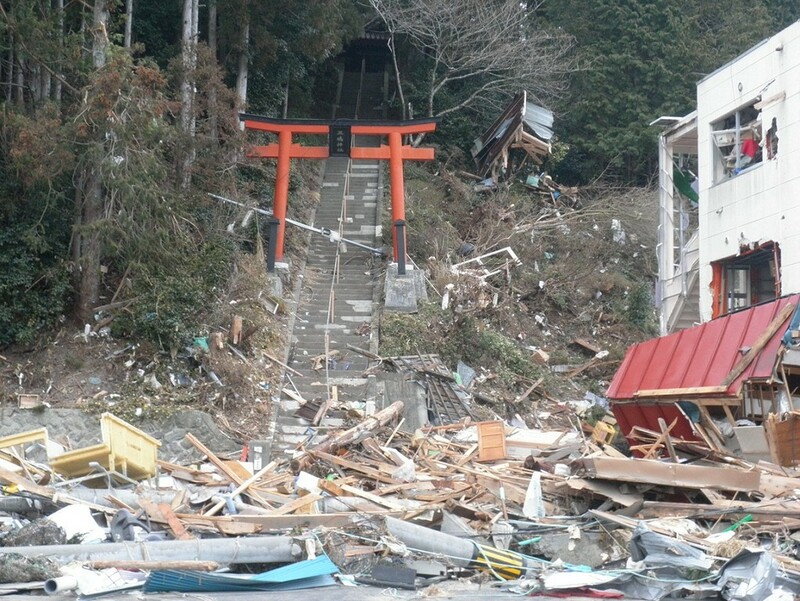 He told us that the area would no doubt be in a dangerous condition again in the case of an earthquake or tsunami of the magnitude of the great disaster. 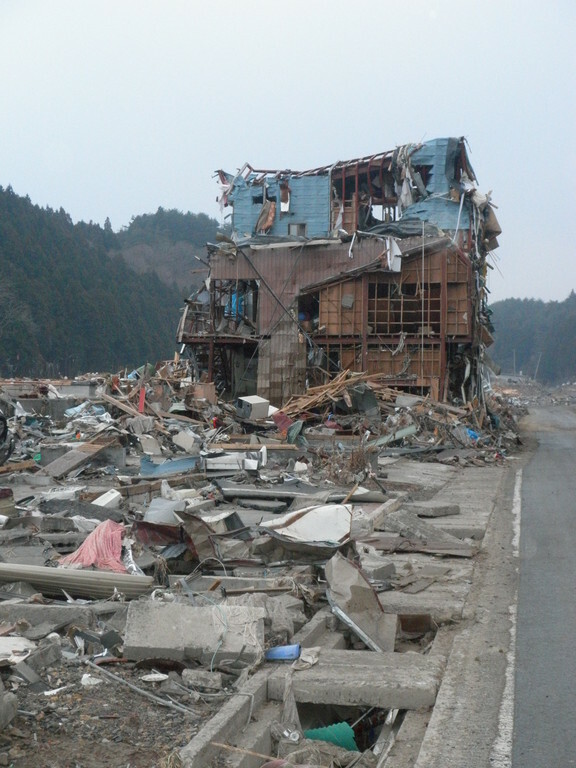 He also informed us that, since Watanoha ward has a complex coastline, not only did the degrees of the damages from the tsunami vary from block to block, being a street-apart making a big difference for instance, but also the degrees of the emotion of the local residents. 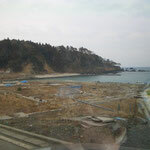 Afterwards, we drove along the shore for Ishinomaki Bay. 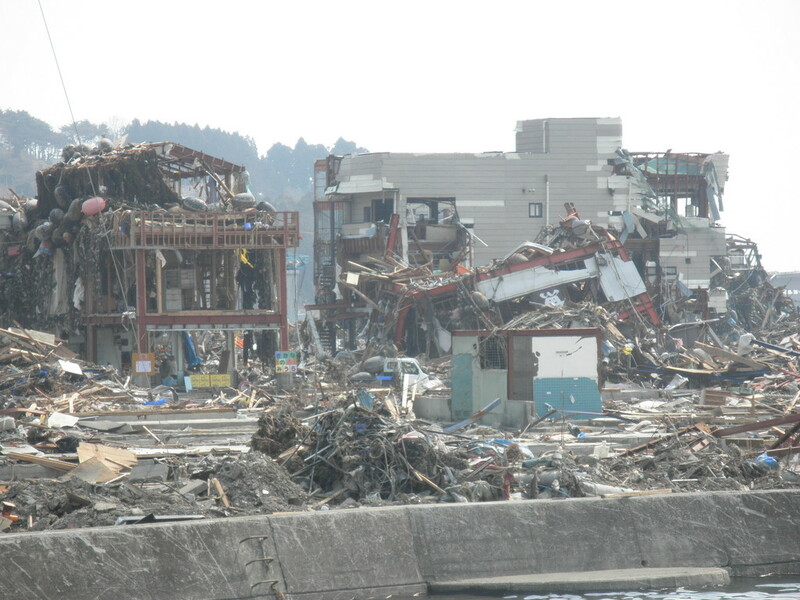 We saw many huge heaps of rubble being disposed with heavy machines, but it was clear that there still was a long way to recovery. 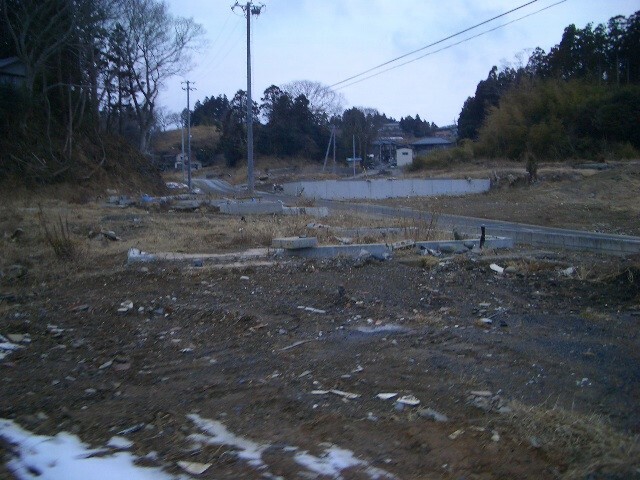 Passing by a vacant lot without houses, we arrived Hiyori Kindergarten. 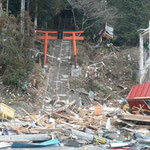 The kindergarten is located on a hill and therefore escaped the tsunami. 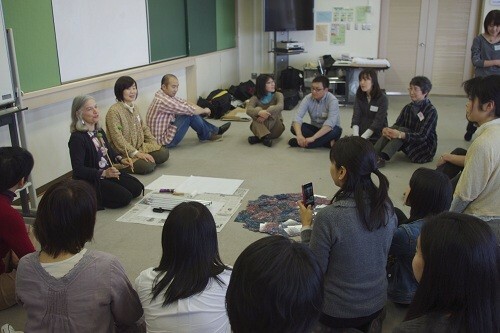 Among the participants of the workshop Norio facilitated for Miyagi Private Kindergarten Federation in the summer (see the report on the Fourth Visit) was a teacher from Hiyori Kindergarten, who helped to make this visit happen. 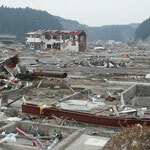 We learned the current situations of the children, the parents, and the teachers there. Norio was able to provide them with coping strategy and whatnot while answering questions from the teachers on behaviors of the kindergarteners. The teachers, although they were worried about effects of ongoing after-shocks, seemed to be doing relatively well. On the other hand, the principal of the kindergarten seemed too exhausted to meet us. 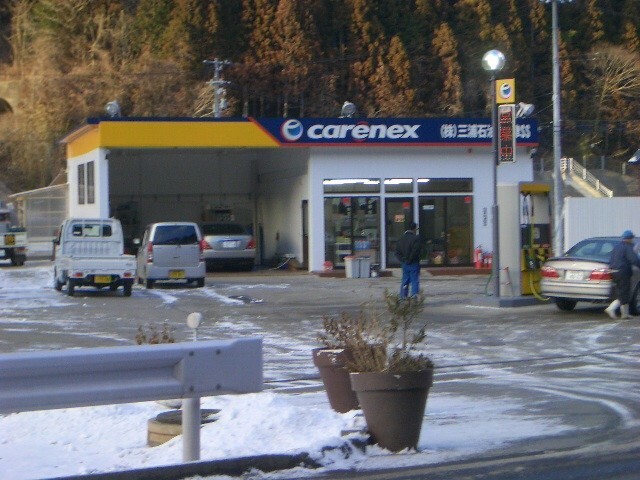 Afterwards, we returned to Sendai. We arrived Sendai on the Shinkansen (the bullet train) in the evening. Though some laughter could be heard in the room during a warm-up, as soon as the workshop proceeded and the teachers were to deal with the stress they had been feeling since the earthquake, the tension heightened, indicating everyone had been suffering from trauma in one way or another. The same observation was made on the fact that almost every one of them froze when they were asked to move around their images that they drew. 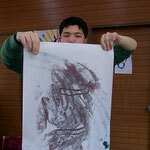 At this time the purpose of the work was for the teachers to add one color of crayon to the image, representing the change in their experience made by their own strengths. This was followed by further drawing on the image and turning it into a place where they could feel safe and secure, which lead a way to a more concrete image that could be applied to their daily life. In the evening, we had a meeting with Dr. Hatayama, Director of “Care Miyagi” and Professor of Developmental Psychology at Miyagi Gakuin University, who had been actively involved in a disaster relief since an early stage of the aftermath and exchanged opinions on the problems about the local support programs. 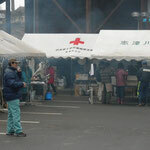 For example, according to Dr. Hatayama, many volunteers themselves were victims in the disaster stricken areas, but they were coping with their harsh schedule, giving up on their holidays only because of their sense of responsibility. Therefore, the exhausting circumstance persists without future prospect. On one hand both short- and long-term relief is needed, on the other hand municipalities are in a situation where funds are allocated only for commodities, compelling the volunteers to bring their own supplies and foods. Moreover, inconsiderate activities of religious bodies who professed as emotional care are so rampant that it has been giving rise to suspicion to any support. We revisited places we had visited in April including “Heisei no Mori”, Utatsu Junior High School, and Utatsu Elementary School. 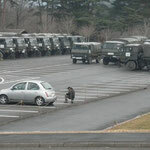 The number of the evacuees had decreased at “Heisei no Mori” as many of the evacuees had moved from the shelters to temporary houses. 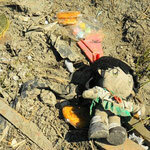 However, new problems about the life at the temporary houses were expressed by the party’s own account. It turned out that more concerns on our future support system had also been raised there. We conducted an art therapy workshop about stress management for school nurses, helpline counselors, staff workers of the children’s halls, school counselors, and so forth from 10:00 am to 5:00 pm. The participants expressed through art therapy their own emotions that had to be suppressed as supporters, understood how their body had wished to move, and changed the emotional burden by drawing pictures again in the workshop. Although for most of the participants it was the first art therapy experience, as they paired up and progressed in the work, many participants gained insight and experienced healing. The group had a very high degree of cohesiveness. Three of the staff members visited Ms. Takako Koiwa, Director of Sendai City Higashi Shiromaru Children’s Hall and Chairperson of Miyagi Children’s Halls Liaison Council in the morning by appointment, and asked her about the children’s and their families’ conditions in the aftermath of the earthquake as well as the conditions of the children’s halls that were stricken by the disaster within the prefecture. Our interview extended to topics such as the burnout of the staff workers, in particular, who worked with children, and we discussed the possibilities of cooperation with the J-CAT-C for that matter. 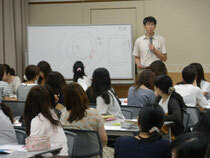 In the afternoon, just as the training on July 29th, we conducted a workshop for 93 experienced teachers who belonged to Miyagi Private Kindergarten Federation. 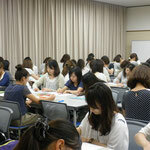 The workshop was held at Sendai City War Reconstruction Memorial Hall. With the target being experienced teachers, the content of the workshop was modified from the workshop conducted for mid-career teachers. After a warm-up, a brief lecture on the symptoms and mechanism of trauma was provided and the teachers were asked to express traumas and stresses regarding this disaster and/or inter-personal relations. 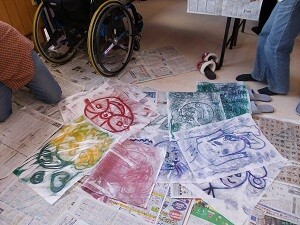 They, then, proceeded to change them through art therapy. After the workshop, we had a productive time, talking to Ms. Onodera and other staff workers and actively exchanging opinions with them. We returned to Tokyo on the Shinkansen in the evening. Norio and Akemi arrived Sendai in the evening. 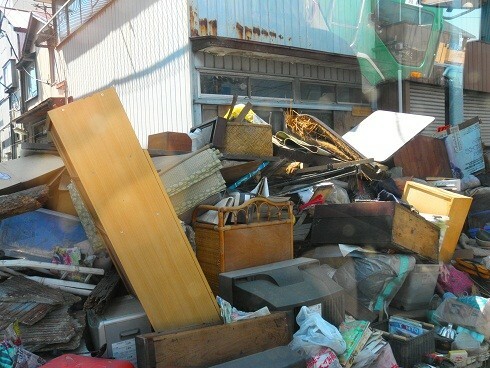 We visited Okada and Gamou areas in Miyagino ward, and Arahama area in Wakabayashi ward. 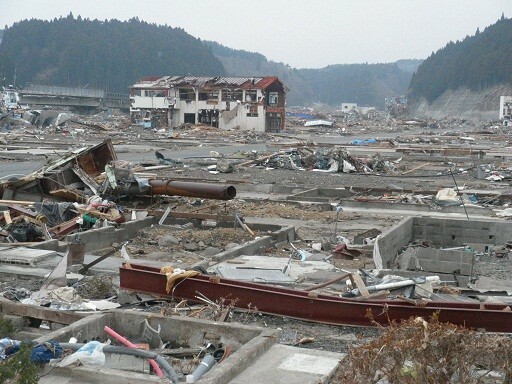 The ocean side of the bridge girders of Eastern Highway was wiped away by the tsunami, driftwood were scattered on and around the rice fields, and automobiles were left behind. The area was 2.5 kilometers (1.5 miles) or 3 kilometers (1.9 miles) away from the coastline, but you could smell of seawater. We tried but were unable to go toward Arahama area due to the traffic restriction. 1:00 pm. 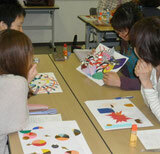 We visited Tsurumaki Children’s Hall and conducted art therapy with 10 children. At first, the children were paired up and exercised bodywork of spinning a top with the other pretending to be a human top. 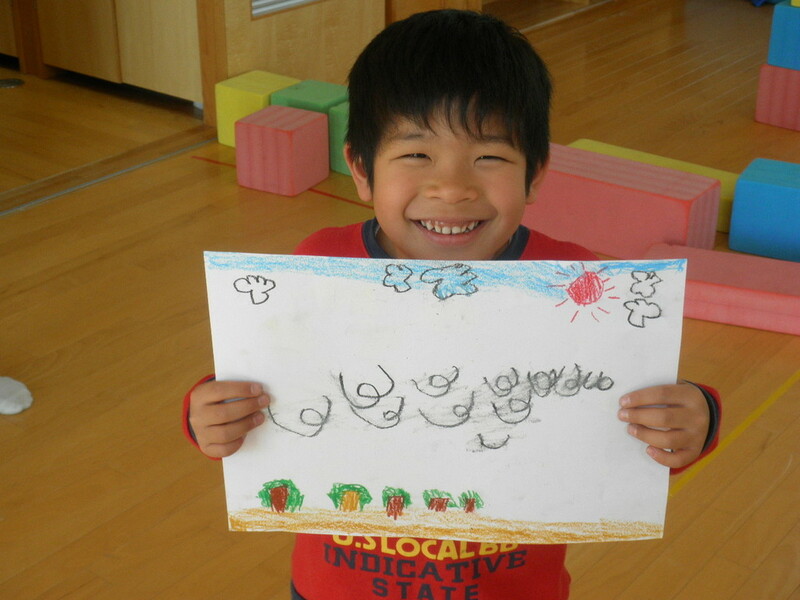 The children drew and shared a picture of their feeling expressed with the weather signs. 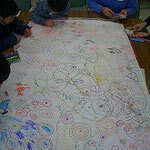 At the end, a huge rolled paper was unrolled and placed on the floor, and all of the children cooperatively drew a picture. The most impressive thing was that a boy, shouting, “A volcano!” drew a red erupting mountain at first and walked out to play and a girl who had been “planting” trees here and there came across the volcano and said, “It looks like a cherry blossom!” and painted it over with pink colors and completed a huge cherry tree. After the work the director of the Children’s Hall said, “I’ve never imagined that the children would focus and draw for such a long time. 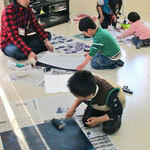 And, I have never seen usually quiet children so actively participating throughout a work before. 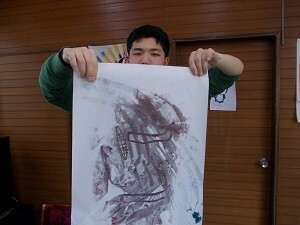 I found a new aspect in them today.” His impression illustrated the significance of conducting creative arts therapy. With the local social workers they had been providing food, just like a soup kitchen, at the Children’s Hall on their own. 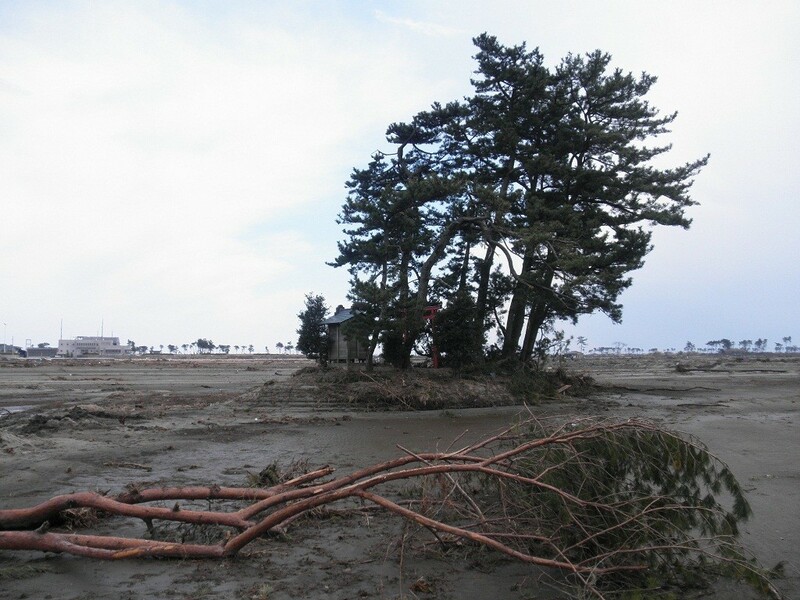 The banks of Nanakita River by Tsurumaki Elementary School were scraped off with asperity, and driftwood were scattered. 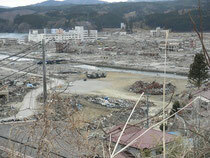 Miyagino ward is a large ward, and it was shaken so violently by the earthquakes that many houses were either collapsed or carried away by the tsunami. Afterwards, we visited Rifu Children’s Hall. There is a facility named “Grande 21” nearby, and it was utilized as a mortuary. 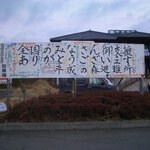 We visited “Salon Yu-Yu” in Odawara area in Miyagino ward. We had a meeting with Mr. Akira Kasai, Board Chairman of “Minori Society”, the only facility for both the mentally disabled and physically disabled in Natori city. As soon as he opened his lips, words began to pour out as though a dam inside him had broken, and he told us that he miraculously escaped the facility, that the building was collapsed but there were no casualties, and that the society had been surviving to date by the support from the people near and about, as well as with some strange coincidences. Also, Ms. Kayuri Kim, Director of Holistic Education Application Laboratory (HEAL) in Osaka, Dr. Tetsu Nishizawa, Professor of Child Abuse at Yamanashi Prefectural University, who stopped by after visiting the stricken areas for two weeks, Mr. Takahashi, a newspaper reporter from Asahi Shimbun Company, who came to interview Dr. Nishizawa, and so many other people from a various fields happened to have gathered at the salon on that day that we were able to have an opportunity to exchange precious information. It was surprising to see everybody had a common acquaintance with somebody else even though we were all strangers and came to gather on our own. The gathering definitely helped us feel a sense of unity. 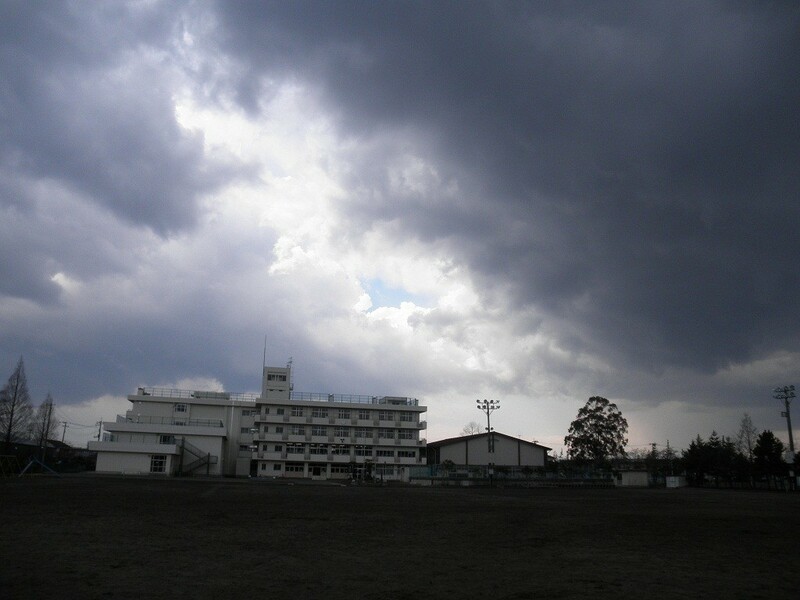 We visited Shizukawa Bayside Arena and Shizukawa Junior High School in Minami-sanriku-cho. 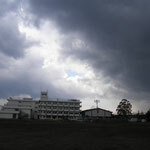 We also visited Shizukawa Elementary School for our second time. We gathered information on local conditions and stayed over night at Utatsu Junior High School (one of the visit participants served as a school counselor in Utazu-chou until March). We helped with delivery of relief supplies, talked with the victims, and interacted with them by massaging, etc. We visited “Heisei no Mori”, Irimae Elementary School, and Utatsu Junior High School in Minami-Sanriku-cho in the morning. 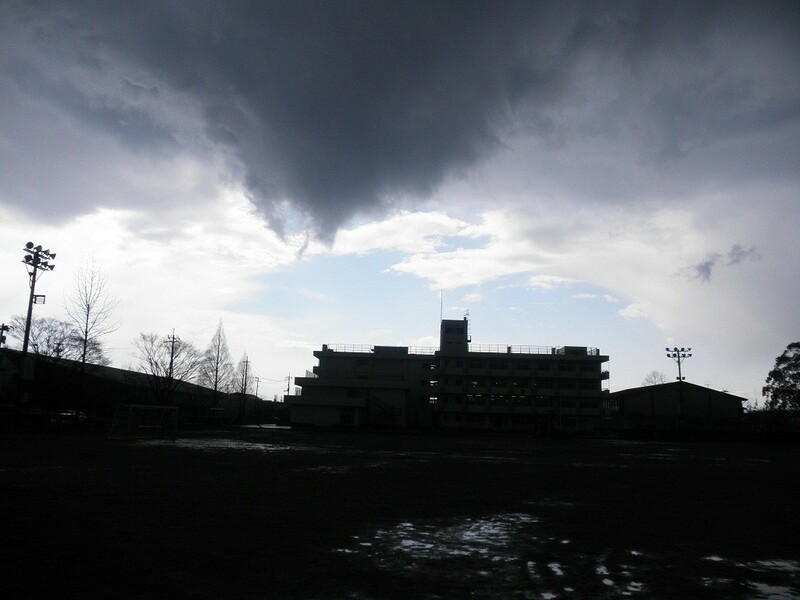 We visited the gymnasium (being used as a shelter) of Kazuma Elementary School in Ishinomaki-shi in the afternoon. We then met Ms. Asano, a Tomoaki’s friend, who had been working as a voluntary coordinator in the shelter and share the information. 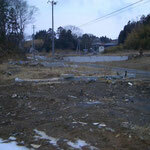 We headed to Yuriage, Natori-shi, but the streets were closed to traffic. 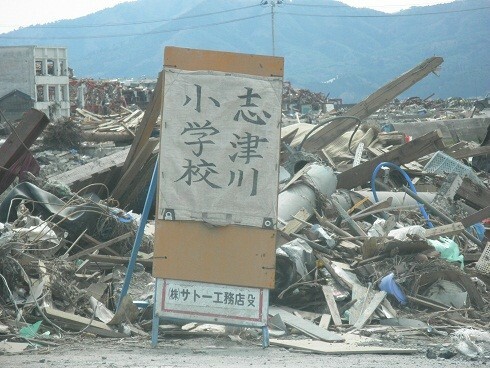 We visited and inspected the devastated conditions of Sendai Airport, within the city limits of Shiogama-shi, and Shiogama Port. 11:30 pm. 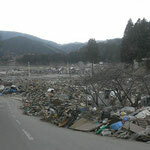 Arriving Sendai on the highway bus, Norio and Akemi stayed with Tomoaki at his house (His wife and children were evacuated to her parents’ in Okinawa, at the moment). 8:30 am. S, M, and K from an FM radio station “FM Taihaku” (owned by K) in Sendai joined us three, and we all headed to Minami-Sanriku-cho Utatsu, one of the disaster-stricken areas. 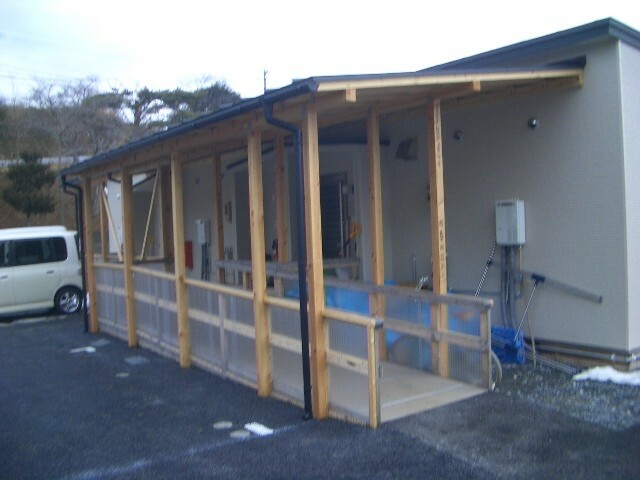 The reason why we chose the place to visit was because S had been a school counselor appointed to the area, and M was a former counselor at “Heisei no Mori” (or “The Woods of Heisei”), one of the shelters for the evacuees in the area. Visiting the area was also their request. 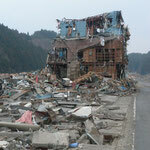 We split in two cars and headed north on just re-opened Sanriku Expressway. There were few cars out there because supply of gas was short, and the road had lots of cracks here and there that had been just recently repaired, and it was waving up and down, showing how great the impact of the earthquake was. After taking a right turn on the expressway and driving on for a few more minutes along mountainside toward the ocean, the view that opened up in front all of a sudden took our breaths away. 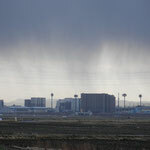 It was as if we were seeing nuclear bomb-stricken area, and such a view continued endlessly beyond the horizon. 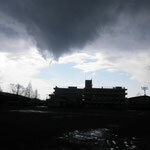 We arrived Shelter “Heisei no Mori” in just about two hours. The shelter was originally a free school, and now there were about 200 evacuees as well as many others who stayed in their cars in the parking lots. 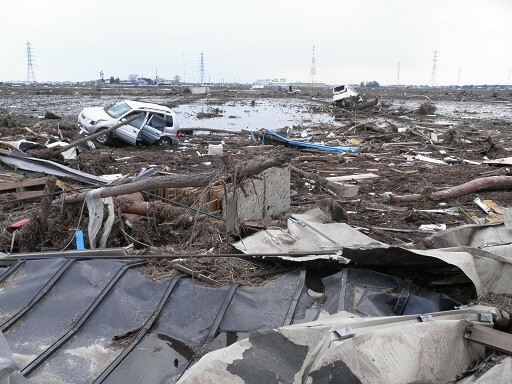 There, S hugged acquaintances with tears in their eyes, and other members talked with the evacuees staying in their cars, played catch with children, and socialized while helping distribute rice balls to the people during lunch time. 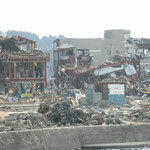 In the afternoon, upon request by the disaster response headquarter to meet a woman who comes every morning seeking someone to talk to, Norio interviewed her in a staff room for twenty minutes. Afterwards, we visited each of the ten rooms (one of them was a gymnasium) and asked around what the evacuees were in need of. 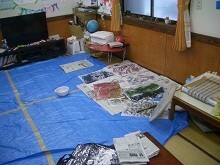 Their living situation was still without electricity and tap water, and there were heaters only in the rooms with a wooden floor but not in the rooms with tatami mat. The people’s responses were all the same; they said, “We are fine,” “There are people who are in worse conditions than we,” but it was apparent that they were subjected to great tension, which was the only thing that was keeping them going. Our schedule was tight, so we were sorry that we only had enough time to sit down and talk with a few people in the three rooms. Just collecting initial information, it was about 8:30 pm when we returned to Sendai. 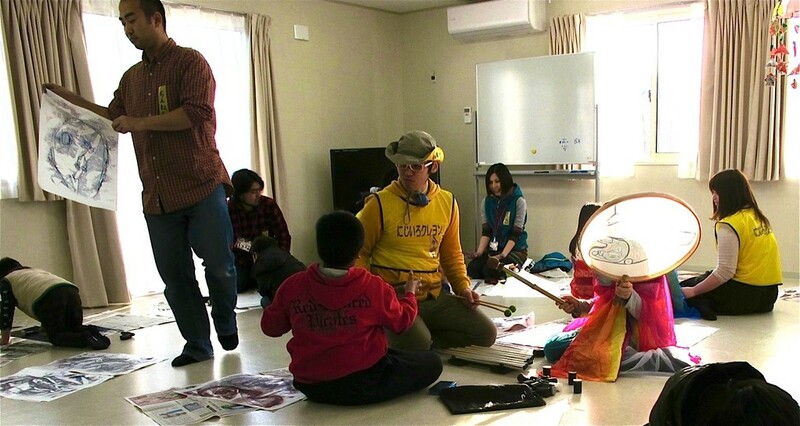 Tomoaki, Norio, and Akemi visited three children’s halls run by the NPO that Tomoaki belongs to. These halls had been shelters for the townsmen just until a few days ago. 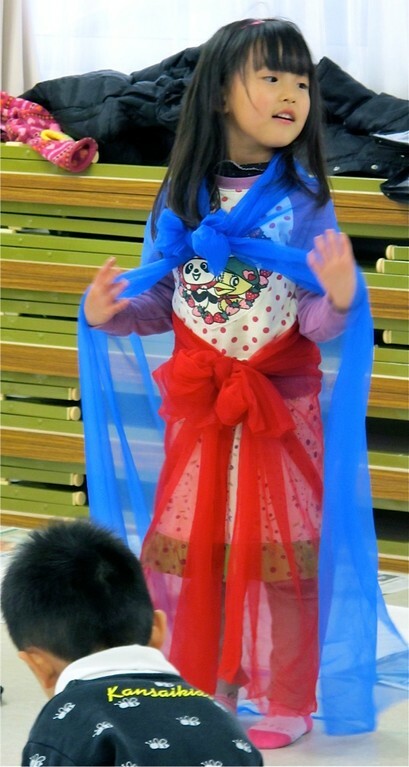 First of all, we visited Sendai-shi Hachihonmatsu Children’s Hall (SHCH), of which Tomaki is the director. We swung by the citizen’s center at next door and greeted their staff workers. The staff of SHCH had a very good cooperative relationship with the staff of the citizen’s center. 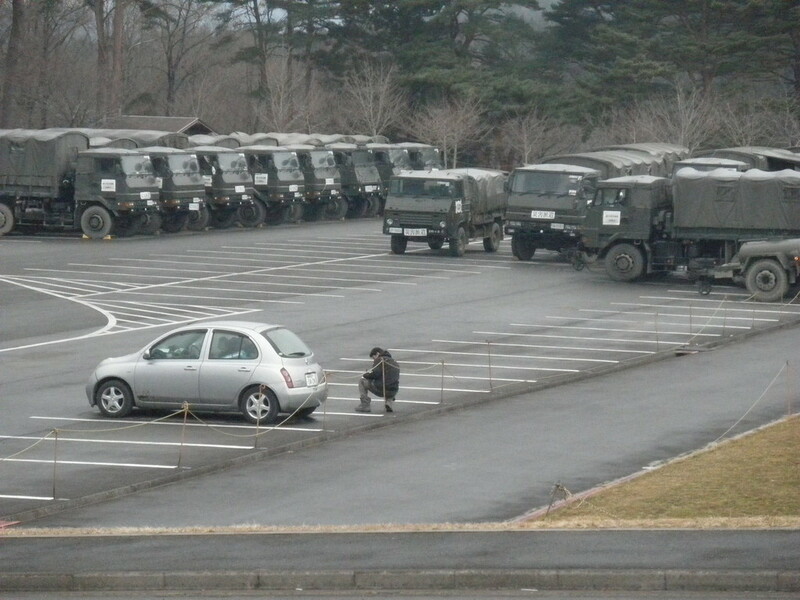 Then, Tomoaki left for the at-the-end-of-term ceremony for graduating children. 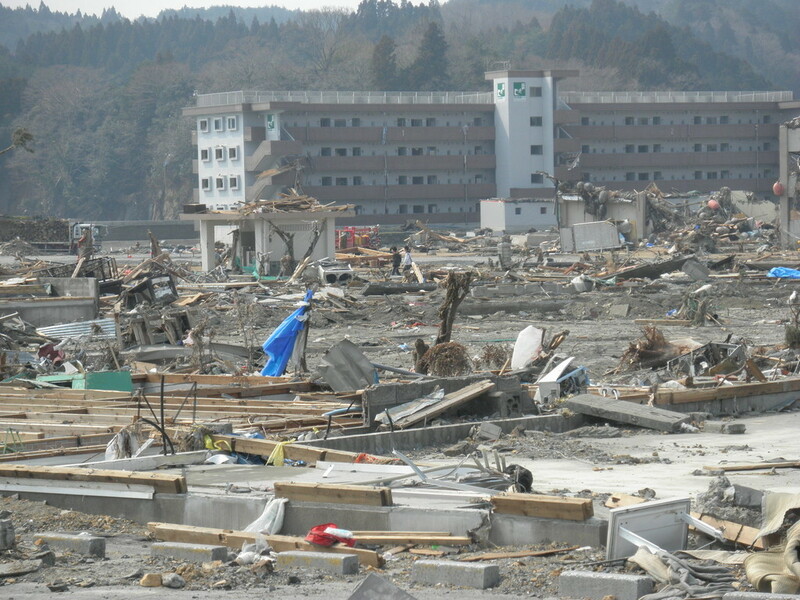 Meanwhile, Akemi talked (or more precisely, communicated with writing) with a young deaf woman who had a panic symptom since the disaster, and Norio talked with a psych outpatient old woman who had been having problematic behaviors at the shelter, as well as with her husband. In the afternoon, on our way to the second children’s hall, we swung by Arahama area in Wakabayashi ward in Sendai that had about 300 casualties. 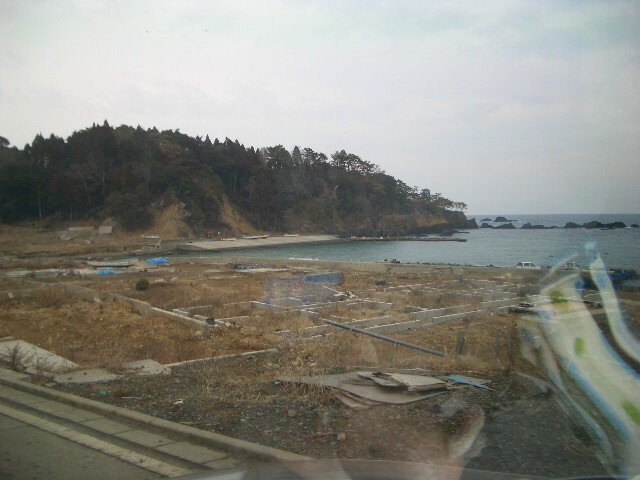 One side of an embankment of a highway was completely different from the other, and the ocean side was completely wiped out. All of the streets that lead to the beaches were closed to traffic. Rifu Children’s Hall was a new building that was going to open two days after we visited. 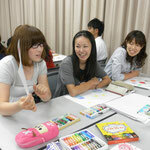 Ms. Takahashi, who just transferred from Tsurumaki Children’s Hall, was the director. She was busy with new staff orientation. After the sunset, though, she spent a lot of time explaining us the current relief situation, problems, and things that were going to be needed in the future, etc. She had surprisingly a lot of grass root level information and a wide personal network as well as a connection to the council of social work. 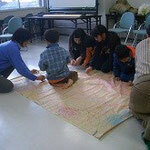 Ms. Takahashi will be a key person in our future support activities in Sendai. In the evening, we, total of seven, including three more in addition to S, discussed how we should organize and what activities we should develop from now on. 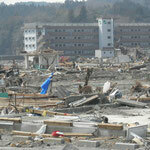 J-CAT-C will provide a various support for the victims that the government cannot and don’t reach. 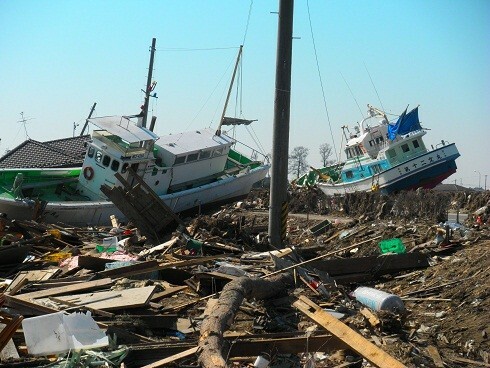 J-CAT-C will be committed to back up the people of the areas who were not directly affected by the disaster to be the center of the activities. J-CAT-C will use any networks it can utilize to achieve the aforementioned goals. Making a guidebook and train mental health professionals on art therapy for mental health care needs in prospect, such as PTSD. 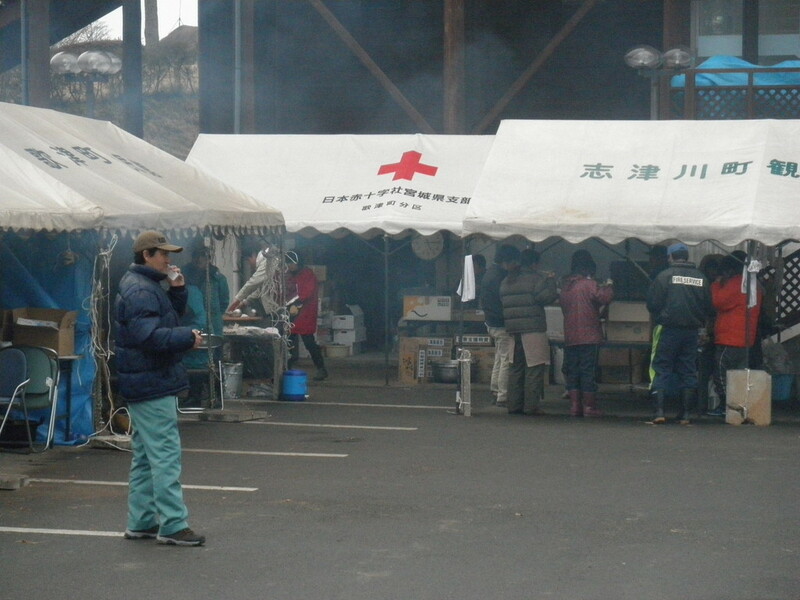 Volunteer mental health care activities at the disaster-stricken areas and recruiting participants. 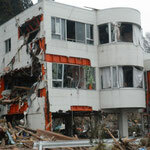 Call for cooperation from educational institutions in the disaster-stricken areas. 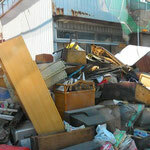 Creating a window for receiving donations of goods and money for the activities from overseas. 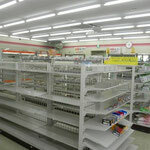 as the core of our stricken area support activities.